Consider this. You visit a local car dealer after coming across an advertised car lease deal. They offered a sedan for $350 a month for 36 months with no down payment. But when you walk out with your new car you realize later that this ‘Special’ deal would cost you $3200 more than you earlier anticipated. How did you end up with such a bad lease? Most of the people visit Quitalease because they want to drive a newer car for less money. As you all know, taking over a leased car is usually economical than buying a new one. But many people do not carefully read the lease contract before signing it and end up paying more. Many times you would come across car lease advertisements showing low monthly lease payments, but when you visit the dealer you are asked to cough up a hefty amount to avail the low payments. Generally, this amount is an advance portion of your car lease but what if the car had an accident in the first few months? In this scenario, the insurance company would reimburse the amount to the leasing company but the money you paid as a down payment is not refunded in many cases. Consequently, you end up paying a lot of money upfront without having a car. So what could be the ideal amount to pay upfront? It is suggested that consumers should not pay more than $2,000 upfront. Though putting nothing down would be ideal in some cases. There is a strategy to cover up for the higher monthly lease payments if you pay less in advance. You can put some cash that you saved through prepayment and invest in an interest-bearing account. The money from this account could then be used to finance your monthly payments. And let’s say, if something happens to the leased car, at lease the leasing company would not have a big chunk of your money. Gap insurance is the difference between the actual cash value of the vehicle and the balance still owed on the financing. When a new car is driven off the lot, its value drops significantly. Similarly, if a leased car is wrecked and the car insurance company pays for the actual value of the car, this amount may not cover the total amount payable by the consumer under the lease agreement. As a result, the rest of the amount has to be paid out of the driver’s pockets, unless he had a gap insurance. Gap insurance is an add-on that would cover the difference on the consumer’s behalf. If you are looking to lease a car, then you must ask for the inclusion of gap insurance in your lease agreement plan. This could pay you off in the longer run. Consumers almost always underestimate their miles limit before signing a lease agreement. Many car leasing deals that claim low monthly installments have usually low mileage limits. Leasing contracts have an average driving limit of 10,000 miles to 15,000 miles per year. If you exceed your allowed miles limit, you are charged additional amount per mile at the end of your lease term. If you misjudge your driving miles, you could end up paying a good sum of money for a car that is no longer yours. But there is a simple solution to avoid these extra big bucks i.e. know your driving needs before signing a contract. The driving miles must be carefully calculated as calculating more than the need would increase your monthly lease payments. This is another point that depends a lot on your driving habits. Because if you do not care about your leased car and it is damaged beyond the normal wear and tear, more money could be on the line when it’s time to turn in the vehicle. If your car is damaged then you must fix it from your pocket before your return the vehicle at the end of lease term. If you do not care about it, leasing company will assess the value of the damage and ask you to pay the extra amount. 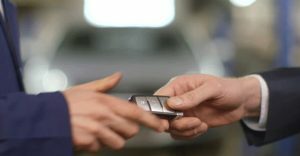 Generally, car scratches less than the size of a driver’s license or business card are deemed normal by many companies. There is also variation in the definition of “normal wear and tear”. You must not assume your local dealers to be lenient about it. Some of the companies may look for smaller details. So you must carefully go through your lease-end-conditions guidelines. Or you may end up paying the bill for the repairs at the full market price. Most car-lease agreements range from 24 months to 36 months and some can go even longer. However, if you lease the car for a longer period, you bulk up the associated costs in the long-term. It is recommended that you must not lease the cars more than the average warranty period i.e. three years or 36,000 miles. This point is crucial as the car goes out of a bumper-to-bumper warranty. There are many associated costs that are attached to the long-term car lease. You may have to pay for the extended warranty at an additional cost, then there is extra money required for maintenance of tires and brakes. In the end, you pay all this for a car that is not yours. So if you plan to keep the car for a long time, it is better to buy it. It makes sense if you pay for the maintenance of a car that is yours, a car that you can drive for several years without worrying about the monthly lease payments. And if you care a lot about saving money, you can always assume a car lease using Quitalease.com. How reliable are the self-driving cars? Is it possible to lease a car with bad credit history?